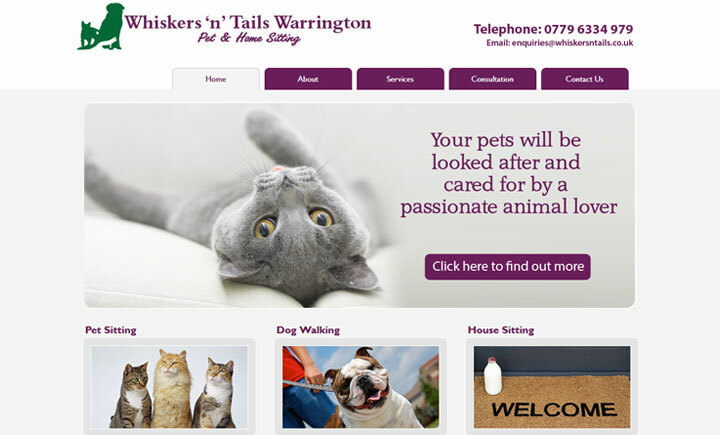 Based in Grappenhall, Warrington, Whiskers ‘n’ Tails is a fully insured, professional, reliable pet & home sitting service. CRB checked, fully insured, and a member of NARPS (National Association of Registered Pet Sitters). Whiskers ‘n’ Tails provides a dog sitting service which enables your much loved Canine to remain in their own home and continue with their normal routine. Your dog will be loved, fed, provided with lots of attention, stimulated and given lots of walks in the fresh air with 100% company at all times! Walks are available seven days a week and your dog/s will be provided with the same level of care as if you were walking them yourself.